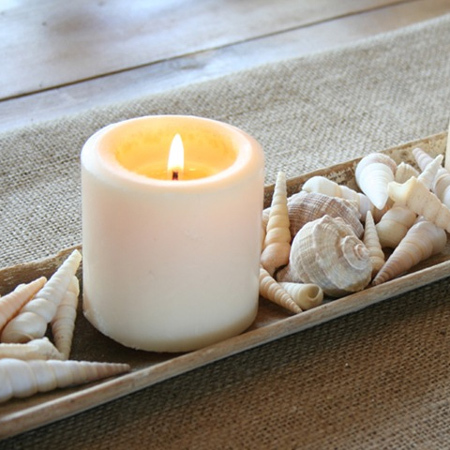 The December Holidays will be upon us before we know it, so I decided to get this feature in well in advance, so when making your next trip down to the coast you can be sure to pick up (or buy) plenty of seashells for making these wonderful crafty seashell projects. 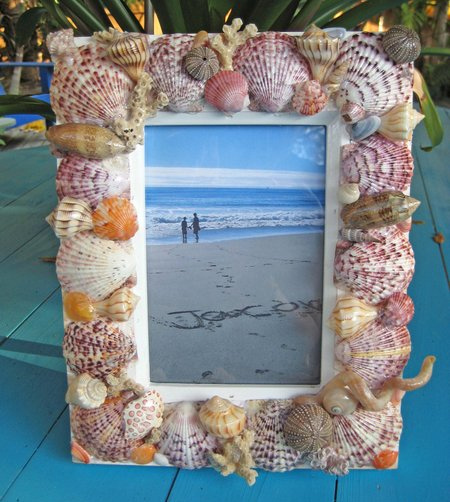 Picture frames adorned with seashells are always nice, and they make great gifts too. 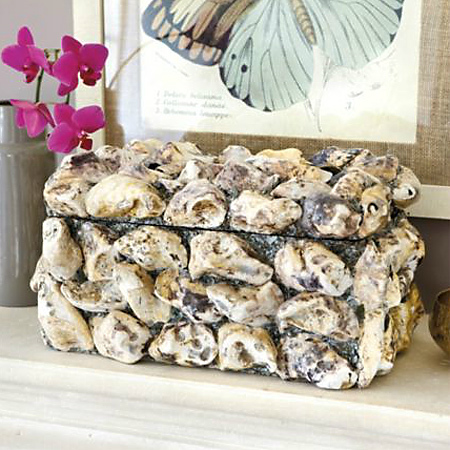 Over at forever whatever, a box of collected seashells are sorted and glued onto a simple pre-painted and distressed picture frame. 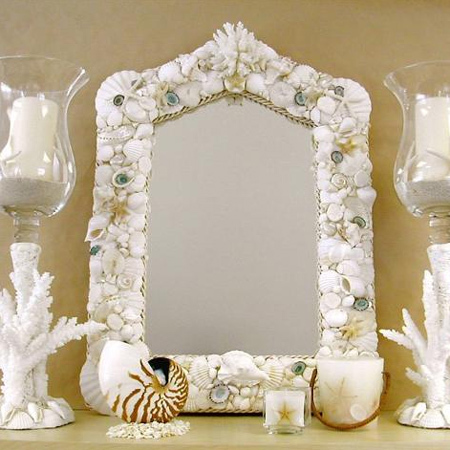 The shells were glued on with a hot glue gun, which is far less messy than using tile adhesive and grout. 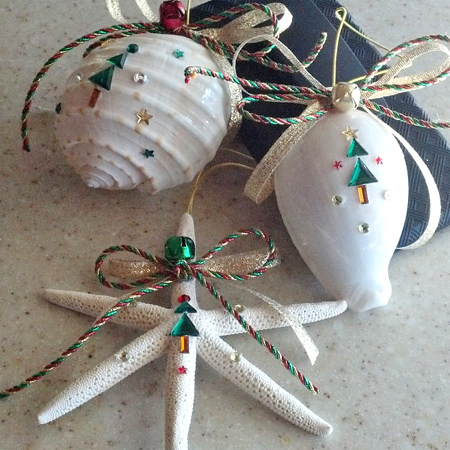 I always seem to end up with a pocket of small seashells that I don't know what to do with. 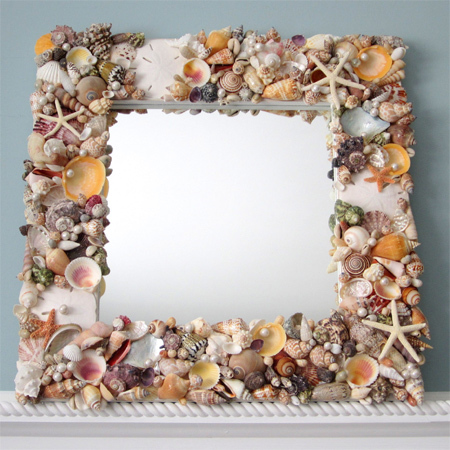 The picture frames above and below use a combination of small seashells to create interesting picture frames. 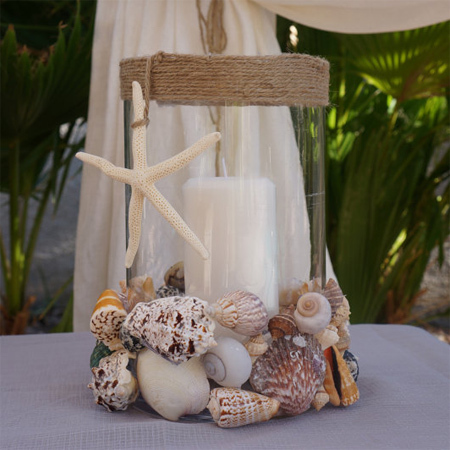 Beautiful seashell candleholders by boho beach. 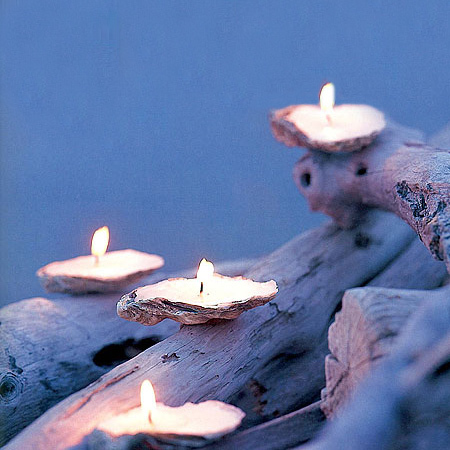 Easy to make - charming and cut. 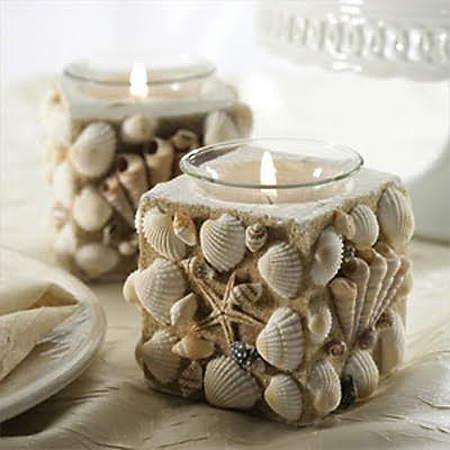 Simply pop a tealight candle into small glasses and use a hot glue gun to stick white seashells on the outside of the glass. 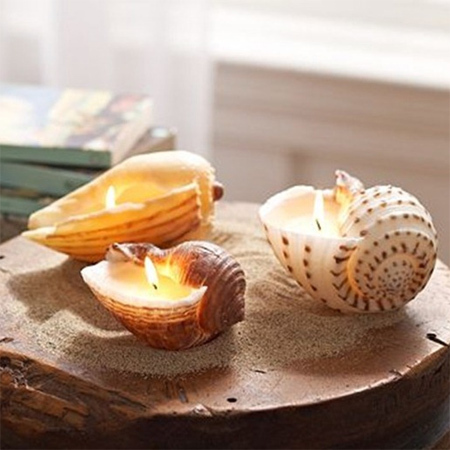 Or what about making your own seashell candles. 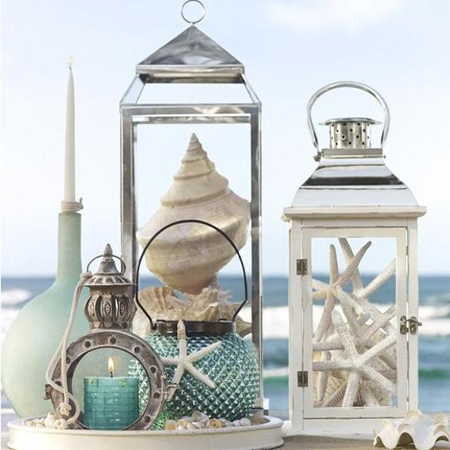 Sometimes you are lucky enough to come across a large conch shell or two during your early morning walk along the beach. 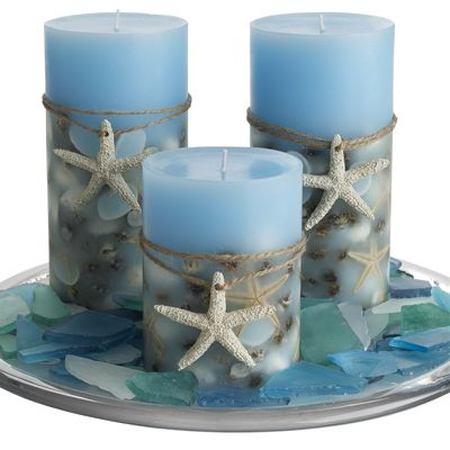 Melt down a wax candle and add a taper to make these candles for a unique decor arrangement. Oysters on the menu - keep the shells. 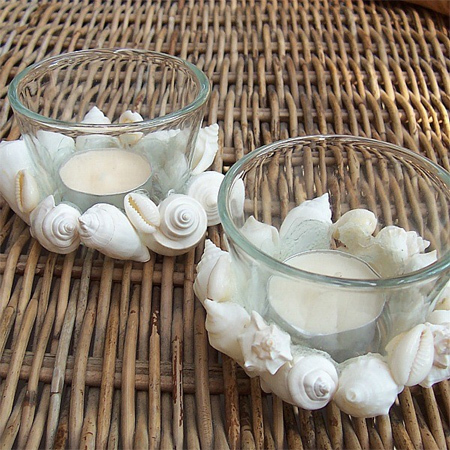 Oyster shells are perfect for making decorative candles. 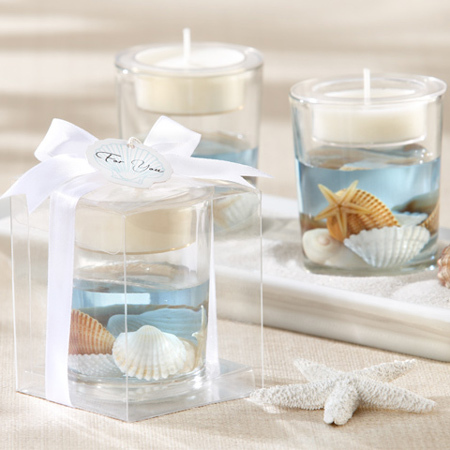 If you love making your own candles, why not incorporate seashells into the mix. 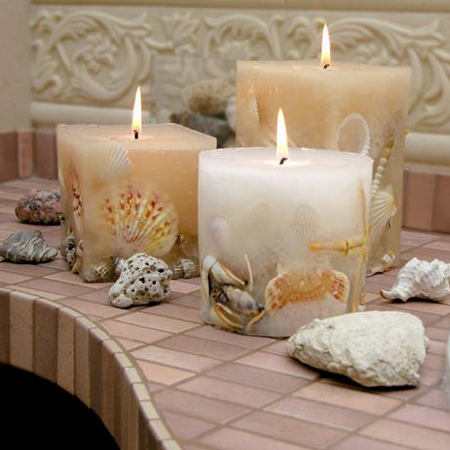 These beautiful candles are filled with interesting designs and shapes. 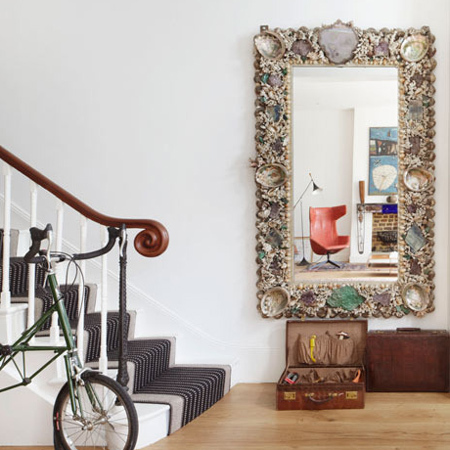 ABOVE: On romantic home, seashells were hot glued to a styrofoam ring. 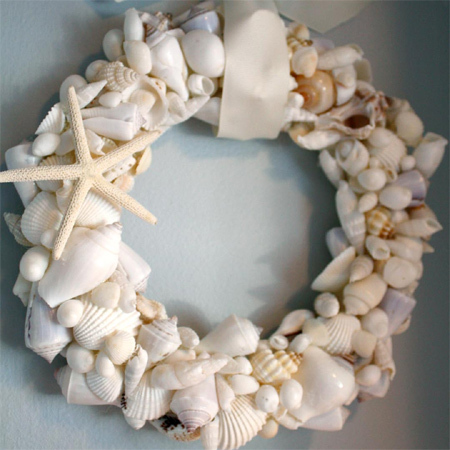 Seashell wreaths are always fun to make and you can hang them in a bathroom or outdoors on a patio. 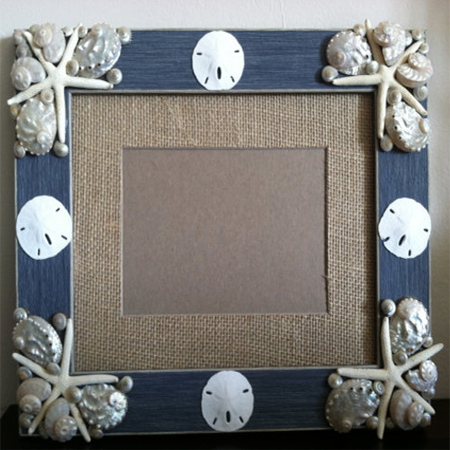 Use a hot glue gun to stick the shells onto a plywood frame and then apply two coats of polyurethane varnish. 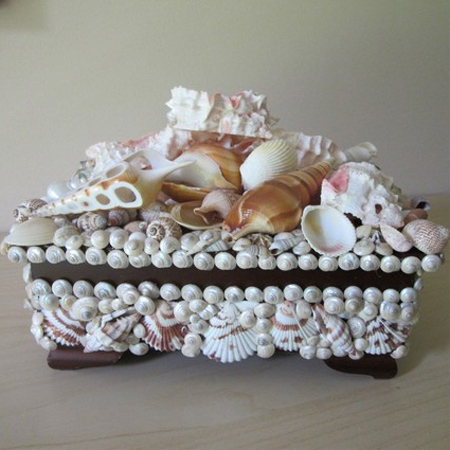 You can also use seashells to decorate recycled boxes to create one-of-a-kind decor accessories or gifts. 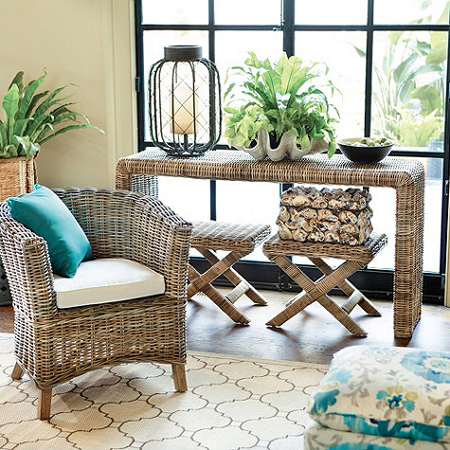 Not a shell you will find on the beach, but may discover in a beach-side store. 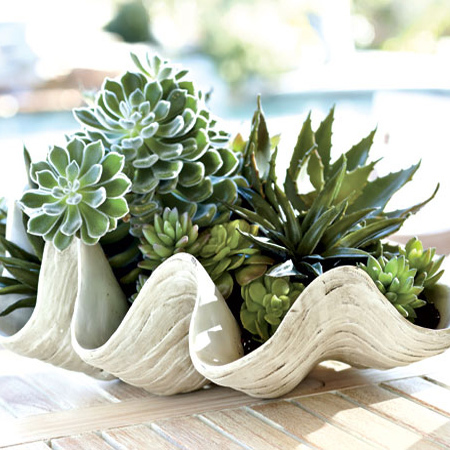 This large clam shell is filled with a variety of small-growing succulents. 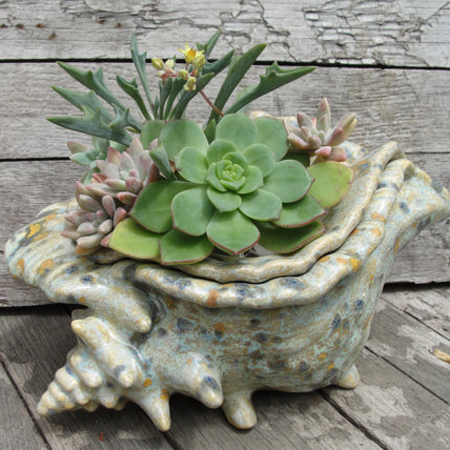 Etsy is filled with creative planters using seashells. 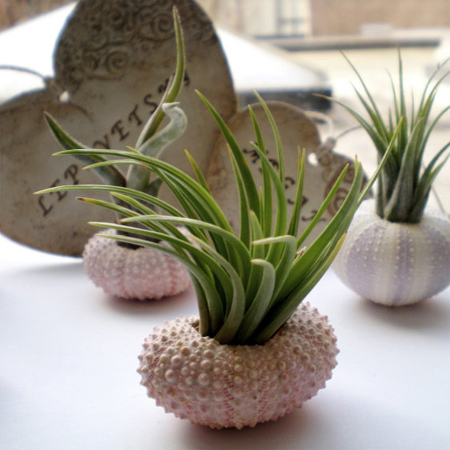 Small succulents and air plants are perfect for planting in smaller seashells. 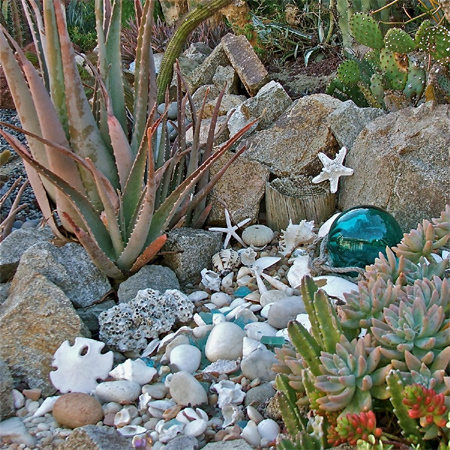 Garden and Bliss used seashells and items found on the beach to create an unusual display. 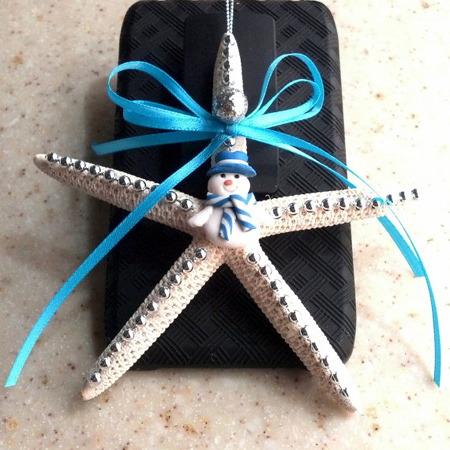 And last, but not least, since it's holiday time, why not decorate your tree a little differently this year. 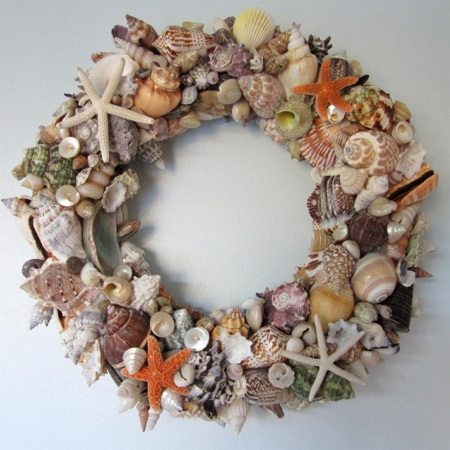 Seashells make beautiful decorations. Add some colourful embellishments for a touch of bling and hang on your Christmas tree!